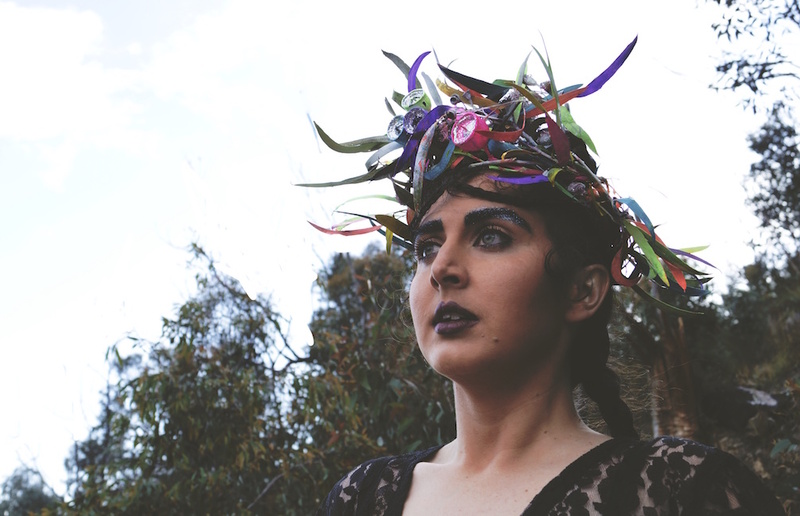 Hannah Donnelly is a Wiradjuri writer who grew up on Gamilaroi country who is honoured to live and work on Kulin Nations land, as well as a DJ and the creator of Sovereign Trax, a title that her DJ persona shares. The Sovereign Trax blog is a subversive online space that features Indigenous and Torres Strait Islander music while encouraging the consumption of music that speaks to collective stories, identities and resistance. It features a curated, monthly playlist of the maddest music from Aboriginal and Torres Strait Islander artists. Hannah is also the co-editor of Sovereign Apocalypse, a zine all about emerging artist and storytellers, as well as a contributor to Revolutions Per Minute, a website on Canadian Indigenous music culture. Her writing experiments with speculative fiction and Indigenous responses to climate change, particularly through stories of cultural flow and water management. She has also worked for the Australian Human Rights Commission and other community-controlled organisations focussing on Indigenous social justice.